The Russian Federation was decreed on December 25, 1991, just before the Soviet Union officially dissolved into separate sovereign states the following day. Can we even begin to imagine the pain produced for Russian citizens and their leaders by that “demotion” on the world stage? It would be like waking up one day and hearing that the contentious federation we call the United States is no more! (some of us can imagine this, but that’s a story for another day). Predating our nation by several centuries, Russia wasn’t giving up the ghost that easily: it brushed itself off, rebuilt its economy (a rocky process, by all accounts) and came to grips with its new reality. Retaining the Soviet Union’s seat on the U.N. Security Council assured the reorganized state at least some measure of global influence. 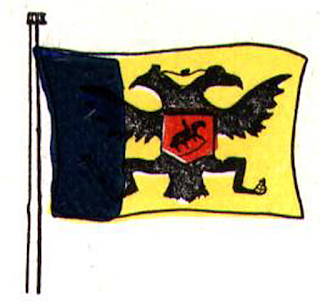 The familiar Communist “hammer & sickle” symbols were banished from the new nation’s coat of arms, replaced with a modified version of its pre-Communist emblem—a doubled-headed, triple-crowned Imperial Eagle, grasping an orb and scepter in its claws (the country’s remaining Communists balked at these symbols of monarchy). 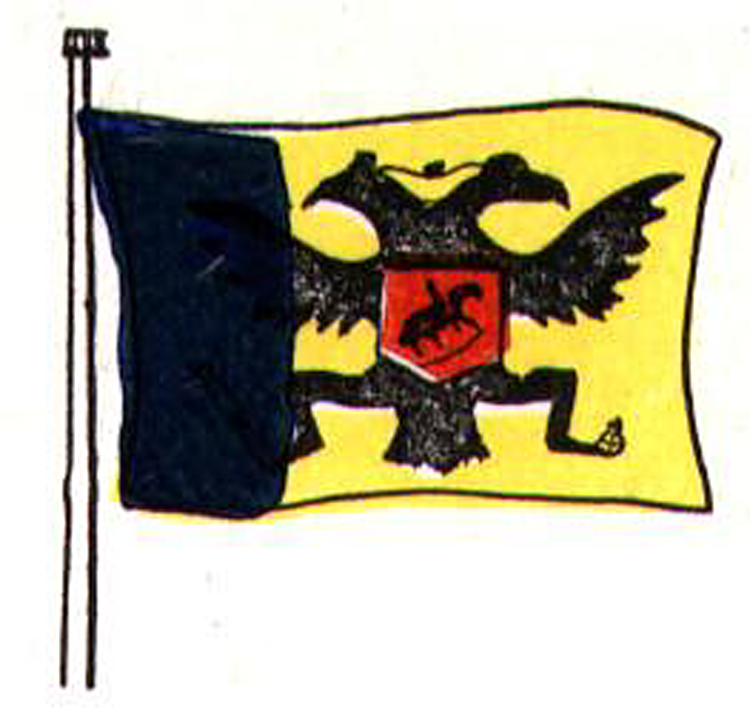 Overlaying the eagle is a secularized version of the original St. George figure (of dragon-killing fame). According to Wikipedia, the key elements of these arms predate the times of Peter the Great; interestingly for today's issue, this updated version was formally signed into law in December 2000 by the nation’s then-newly elected president, Vladimir Putin. Maybe Russian war planes bombing Syria these days shouldn’t be surprising—restoring Russian power and grandeur and killing a few “dragons” as needed to secure its interests were probably on Putin’s to-do list from day one. So, let’s fill in a few blanks left in my prior post, “Would Putin be welcome…” As that post argued, Putin’s dream of a “new Yalta” has likely been empowered by the Supermoon lunar eclipse of September 27, but to understand what brought him to this significant moment, it helps to consider his astrological ties with the Russian Federation chart. 1. Putin’s persona radiates seriousness and ambition, and he was born into very tough circumstances in Soviet Russia (both issues related to the Ascendant). Once he graduated law school, however, his rise from over a decade in the KGB, to local and then national government was expeditious. If this chart is accurate (and it’s beginning to look that way), his transition from the KGB into politics in 1991 happened just as Uranus and Neptune were transiting over this Ascendant—a pretty apt time for major personal changes, especially from a “hidden” institutional KGB career (12th house) to a more open, visible one. 2. In fact, Putin’s rise to power coincided with the new Uranus-Neptune cycle launching in Capricorn (exact at 19+ degrees in February 1993—in the first house of this chart), square his natal Sun-Saturn-Neptune and Mercury (all Libra) and opposed to his Uranus in Cancer. Uranus-opposite-Uranus is a midlife transit that can drive a lot of change in a person’s life; with Neptune involved, even more so. 3. Putin’s 7th house-cusp Uranus here would seem to reflect what we know of his worldview and priorities, especially his intense focus on national security and his willingness to use pre-emptive strikes against perceived enemies (in the news today). With his Libra points in tense square aspect to this sensitive Uranus, security appears to be a deeply personal issue for him. 4. Finally, this Capricorn rising chart puts Putin’s Sun and Saturn astride his 10th house cusp (Equal houses), which again, befits the “tough man” (or as Gov. Chris Christie put it, the “articulate thug”) image he projects. The 12th house position given to his fiery Sagittarius Mars also makes sense; trine Pluto in the 8th, this would render him an effective “behind the scenes” actor/negotiator (at times, manipulator) and strategist, adept at dealing with the world’s power-players (even Russian “oligarchs”). Putin seems to relish the element of surprise (our military received one-hour’s notice before his first airstrikes in Syria), and he’s not likely to back down once he’s acted on an opportunity to strike (12th house Mars disposed by fixed Jupiter in Taurus, sextile Uranus). - Russian Federation (RF) Sun-MC-Node-Uranus-Neptune stellium in Capricorn overlay Putin’s 12th; all but RF Sun also square Putin’s Sun-Saturn-Neptune-Mercury in Libra. RF Sun conjoins Putin Chiron. Deep psychological ties and identification with Russia’s long collective memory and a future Russian destiny of greatness are reflected both in the 12th house connection and in the squares. The Sun-Chiron connection assures that Putin also feels Russian/Soviet historical wounds very deeply (WWII, for starters—reportedly, his mother was among millions who almost starved to death then). Being a pragmatic problem-solver and “out-of-the-box” thinker (his Neptune-Uranus square influences his more cerebral placements), Putin’s response to these wounds is to do something about them, inspiring multi-pronged action (cardinal stellia in square aspects produce concerted effort) on behalf of the new nation. With the involvement of Mercury, Uranus, Neptune in these squares, it’s not hard to see how Putin considers control over the Russian media and “messaging” (including bare-chested horse-riding videos) just another task of governing. - Putin’s Libra stellium is disposed by a determined Scorpio Venus (tying into his Mars and Pluto ultimately). Putin’s Mars conjoins the RF Part of Fortune. The Venus-Mars-Pluto role here allows Putin to focus intensely on the purposes of these interchart cardinal squares. Putin’s connection with the RF Part of Fortune may explain why he’s the Federation’s longest-lasting leader to date (as both the second and fourth president, a stint as prime minister, etc.). - Interchart Earth Grand Trine: RF Uranus-Neptune in Capricorn trines RF Jupiter in Virgo trines Putin’s Jupiter in Taurus. Putin’s Mars trines his Jupiter and his Venus in Scorpio opposes his Jupiter. His “strong man” reputation can be seen here, and the interchart grand trine further reflects his endurance and popularity as Russian leader. The involvement of his Venus in Scorpio and Mars-Jupiter trine suggests that in Russia, he’s considered something of a “hunk;” more than likely, he cultivates this image. - RF Saturn in Aquarius trines Putin Moon in Gemini. Putin Moon opposes MC in Sagittarius. The first aspect may account for the often steely quality of Putin’s public persona; he carries the seriousness of his public mission in his emotional being and it projects clearly. His ability to say one thing and do another (the ends justifies the means) is probably rooted here, especially as his Moon and MC tie into his Mercury (tightly conjoined Neptune) and Jupiter-Venus aspects by dispositorship. The “truth” is malleable—it’s whatever fits the goal of the moment. - RF Venus-Pluto in Scorpio oppose Putin Jupiter in Taurus and square Putin’s Pluto in Leo. Even though their respective Scorpio Venus’s are not conjunct, Putin projects an intriguing charm (Venus disposes both his Libra stellium and his Taurus Jupiter) that some may identify as the tortured “soul” of Mother Russia herself. Such cultural roots (RF Venus-Pluto tying into Putin’s Jupiter and Pluto) run deep indeed, a source of great strength and ambition for Putin. Charm and ruthlessness coexist comfortably with configurations like this—clearly, each quality has its uses. So, the Two-Headed Eagle soars again (an apt image for war planes over Syria), and we can only wonder where U.S.-Russian relations will be a year from now. This story has wings…stay in touch!